The PCI Data Security Standard has been mandated by major credit card providers, and is intended to protect cardholder data. 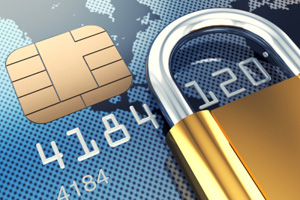 To achieve PCI DSS compliance, all members, merchants and service providers must adhere to the Payment Card Industry (PCI) Data Security Standard, which offers a single approach to safeguarding sensitive data for all card brands. Failure to comply can mean revocation of processing privileges and/or up to $500,000 in fines — per incident. HEALTHINOVATION's Information Security practice uses only Qualified Security Assessors Certified by the Payment Card Industry Security Standards Council. Four Distinct Phases - HEALTHINOVATION's standard PCI Assessment includes four distinct phases. Learn more.